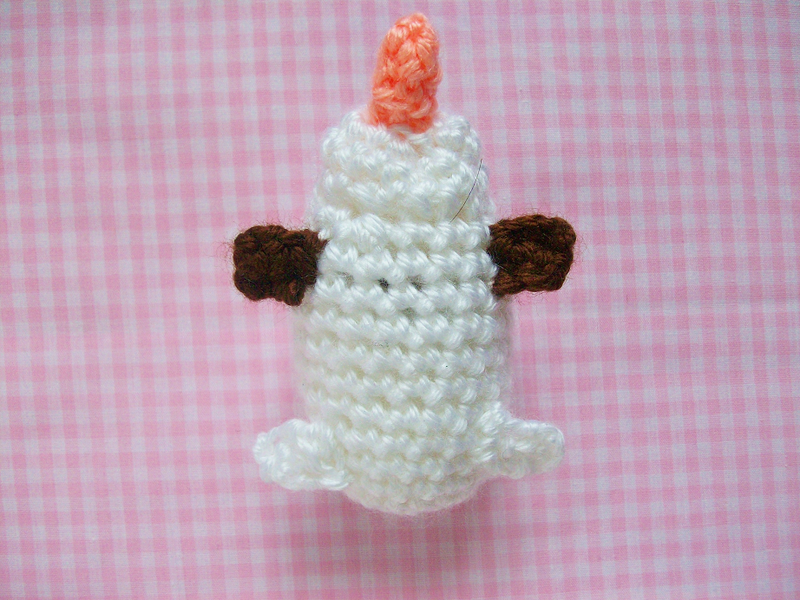 Do you want to crochet a snowman? Well if you do then today's 12 Days of DIY project is just for you! 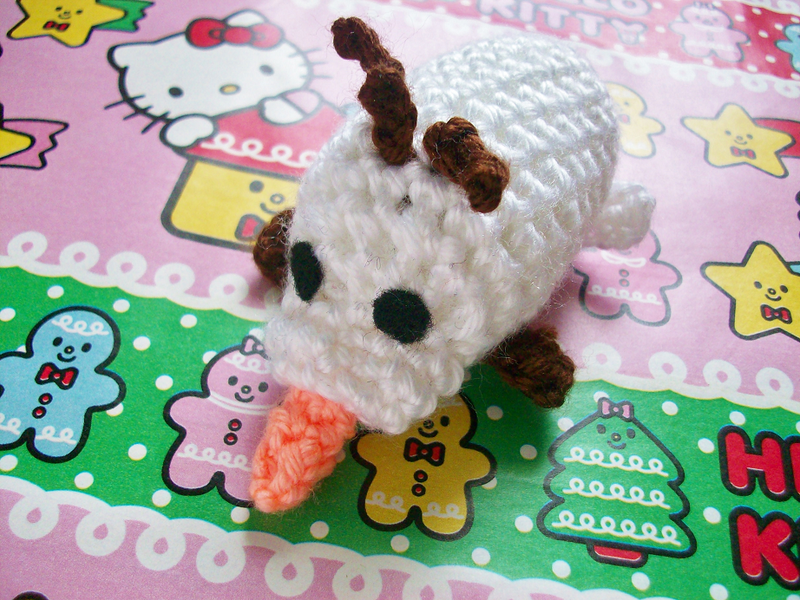 I will be showing you how to crochet a Olaf Tsum Tsum. For those who don't know what Tsum Tsum are check them out here! 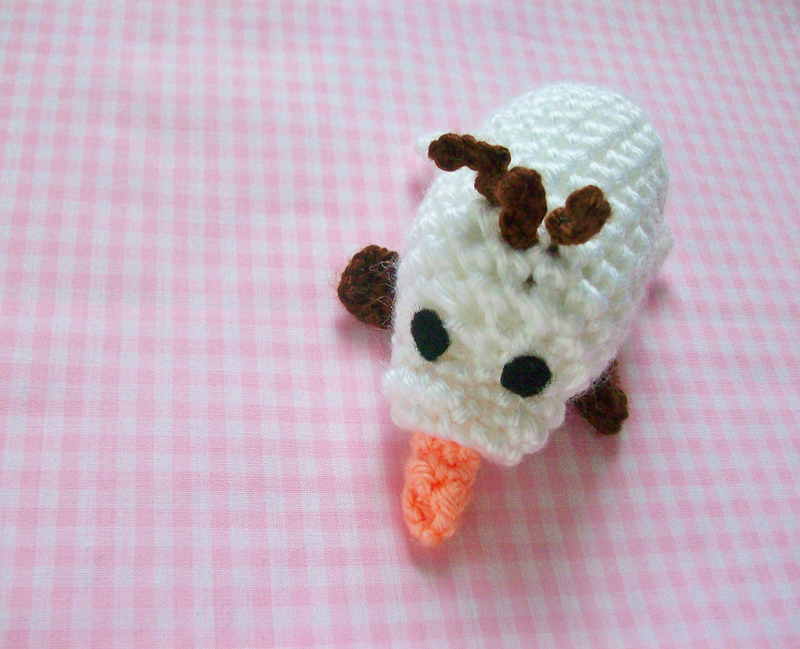 I got this idea after watching this tutorial but instead of sewing the Olaf Tsum Tsum (which would probably take me FOREVER) I decided to make a crochet version and share it with you guys! Enjoy! Here's our small Tsum Tsum family. Hopefully this Christmas I will be getting more (wink wink). 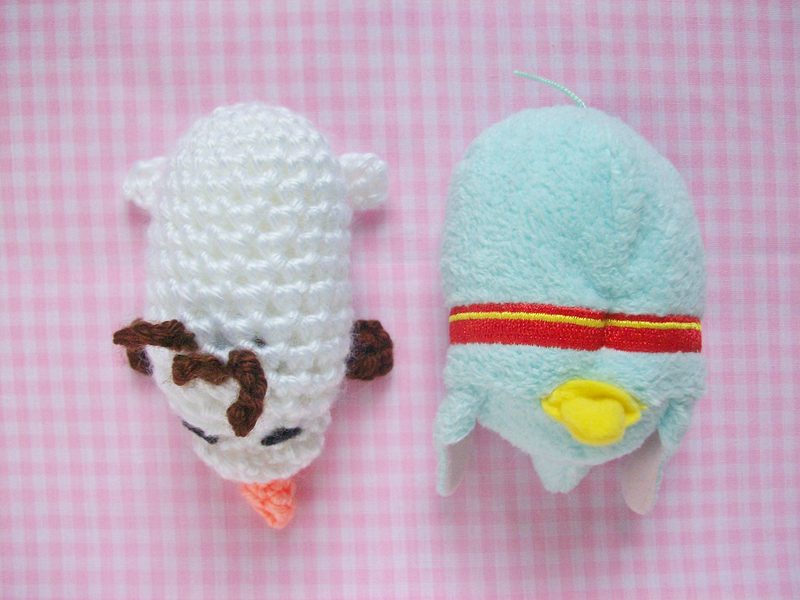 Here is the size of the Olaf Tsum Tsum I made next to a Dumbo Tsum Tsum. With the yarn needle weave in and out of each stitch and pull close. Weave in remaining ends. 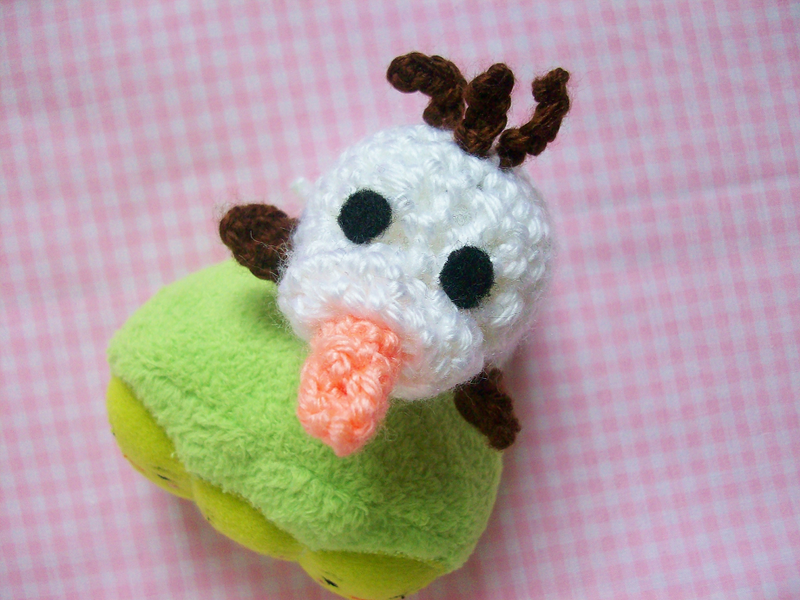 Attach the muzzle by sewing it on the lower center of Olaf's face. * Make sure to sew Olaf's nose to his muzzle before you sew the muzzle onto his head. Sew the two white feet on the back and the two brown feet on the front. Try to sew the feet on the lower bottom around Olaf's tummy. Ch 5 and cut off leaving a long tail for sewing. 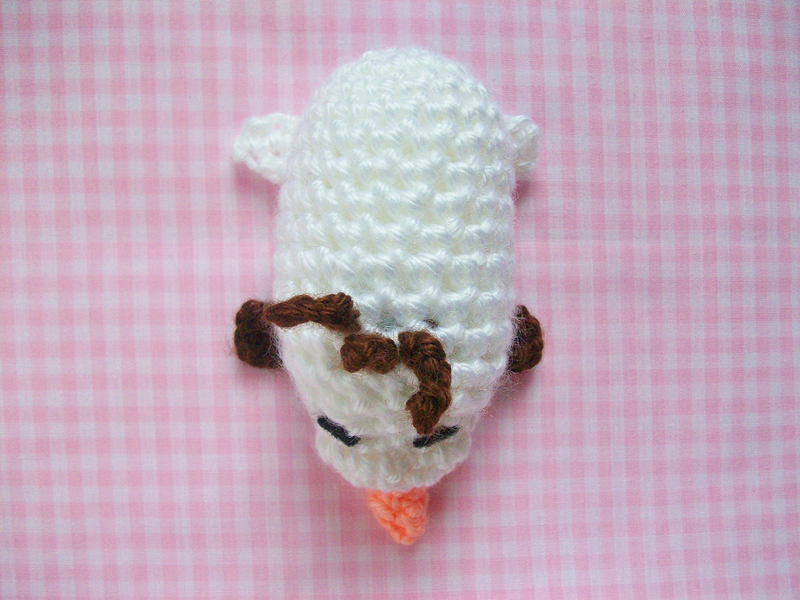 Now sew Olaf's hair twigs on the top of his head. Try your best to make sure the brown yarn isn't visible. Lastly you can either sew on black eyes or do what I did and cut out two eyes in black felt and glue them above of Olaf's muzzle. You can also add more of Olaf's features like his mouth and tooth but I just kept my Olaf like this because I liked him better this way. Done! 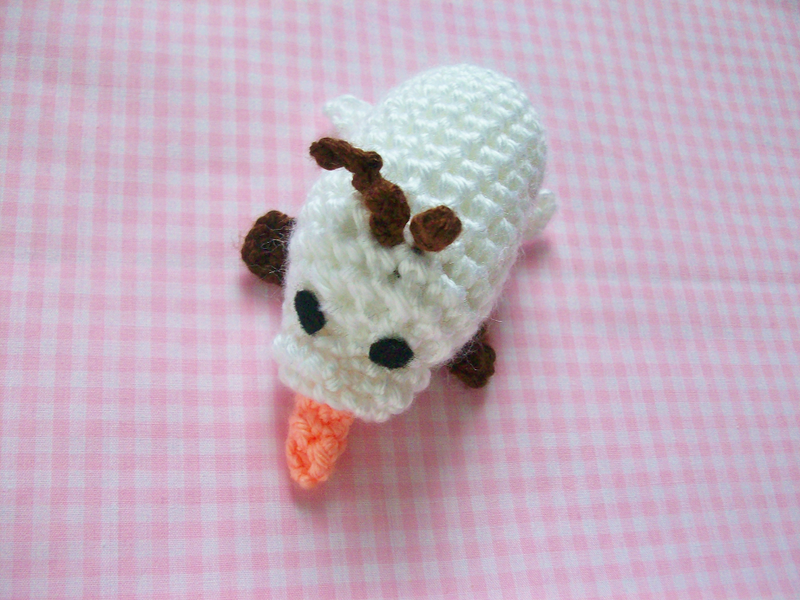 This little Olaf was so fun to make! 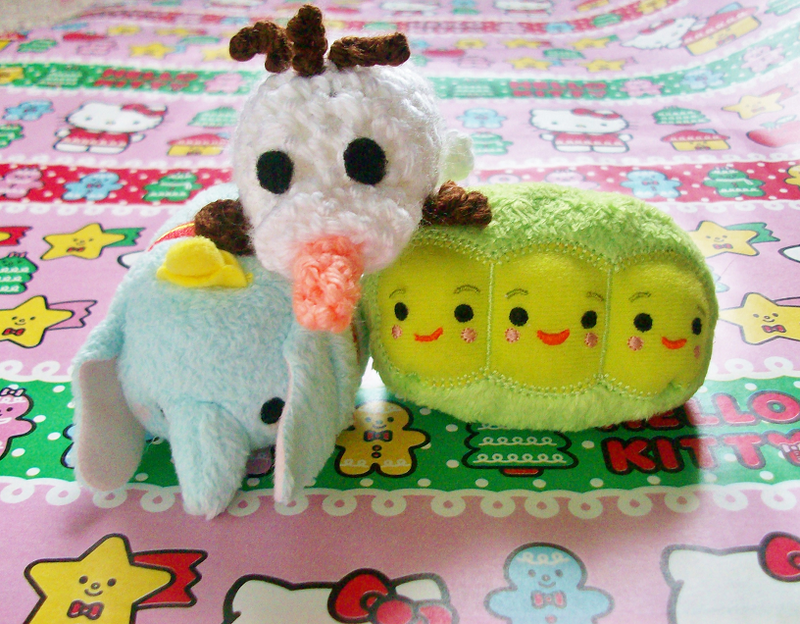 I actually want to make more Tsum Tsums in the future. Any requests? So adorable! I made one yesterday for my younger brothers birthday. It now sits right next to his other Olaf Tsum Tsum he had gotten from the Disney store. Have you considered making patterns for other character Tsum Tsum? That's so cute! I would love to see it! I was thinking of making more tsum tsums that we can't get in the States like the Alice and Wonderland collection. If you have any suggestions feel free to let me know.